Tucked away in Captain Cook, twelve miles south of Kailua-Kona, Amy B.H. 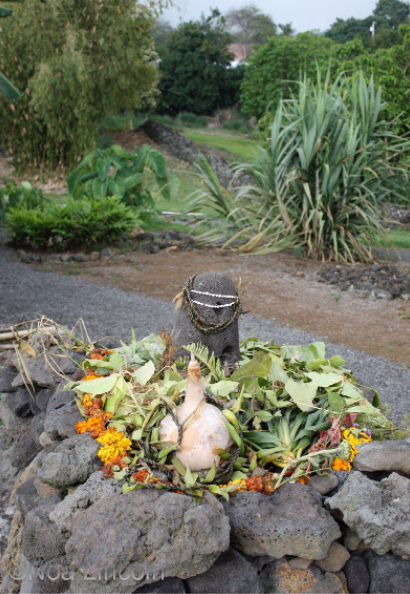 Greenwell’s garden legacy preserves her devotion to Hawaiian botany, archeology, and culture. This 15 acre botanical garden features over 200 species of “pre-Cookian” plants, which include endemic, indigenous, and Polynesian introduced flora. These include the most culturally significant plants, such as taro and banana, as well as scores of rare and endangered species, such as the beautiful kōki’o. The undisturbed archeological remains that cover 5 acres of the garden transport you back to an ancient time when the Hawaiians had 54 square miles of terraced and walled agriculture within the Kona district. As you pass through the garden you will traverse various ecological habitats, reflecting costal, dry forests, agricultural and wet forest zones. The Amy B.H. Greenwell Ethnobotanical Garden is dedicated to conserve and support native plant resources and the associated traditional land use and cultural practices. To accomplish this, the garden discovers and shares knowledge of Hawaiian ethnobotany, maintaind a repository for native and Polynesian introduced plants, aids in native plant conservation and restoration, supports cultural practitioners and educators, and preserves an archeological remnant of the Kona Field System on the garden site.